Buffet restaurant are popping everywhere as the unlimited promo becomes the new trend in the food industry. Most of them are culture-based restaurants such as Japanese, Korean or American. It’s not so common however to have your local unlimited Pinoy buffet. A blend of Filipino flavors has opened in Laguna called Kalye Unligrill which serves unlimited Pinoy street food for less than four hundred pesos only. 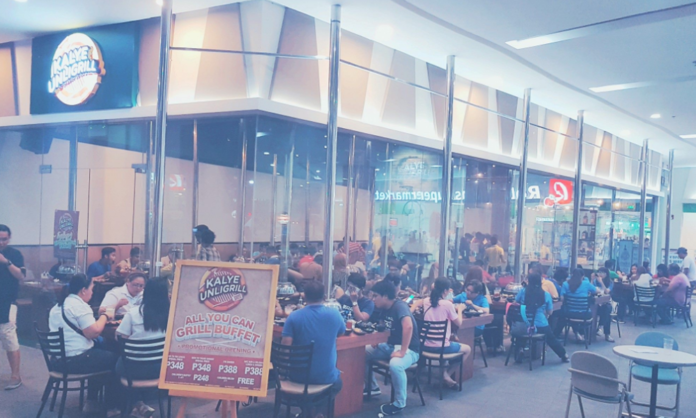 Kalye Unligrill is a total game changer, with familiar Filipino comfort and street food, it has become the go-to restaurant of local delicacies and people with big appetites. Remember to visit the restaurant with a big appetite as the buffet restaurant is sure to fill any diner up with the most-craved street food. But don’t get too excited, Kalye Unligrill is so in-demand that it requires a reservation. Don’t miss out on the next big thing in unlimited food! Next articleWould You Pay P2,500 For A Coffee Drink Surrounded By Rats?